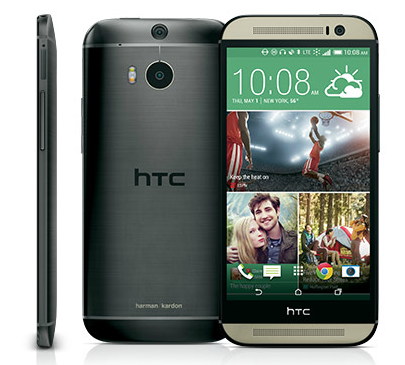 As part of my Sprint Ambassadorship, I was sent the Sprint HTC One M8 Harman/Kardon Edition phone to review. I have been a Sprint customer for many years and currently have the Evo 4G phone. The first thing that I noticed about this new phone is that the screen is about 1/3 inch longer than my current phone. I love huge phones so this was a plus. My husband and I love to listen to music on our phones so this phone having nice Harman/Kardon speakers was a huge plus. This phone has technology that helps to restore compressed digital music and give you more like a headphone listening experience. I find the music to sound a lot clearer than on other phones which is awesome. I like the all-metal design of this phone. It looks very sleek and the colors are not like any phone I have had before. The phone has a lot of nice features and I have been working on adding my favorite apps to the phone. The phone feels pretty lightweight for its size. The screen is 5-inches and is a full HD screen. It gives you access to Spotify's catalogue which includes more than 20 million songs. Until now, we had not tried Spotify but my husband has been using it and likes it way better than Pandora he says. He likes that you are able to choose your songs and customize your playlist. The camera is good quality as well which is important to me for on-the-go pictures as well as my beloved Instagram pics (haha). Along with the phone, I was also sent this amazing Harman Kardon Onyx Studio speaker to review. This speaker is better than any other I have had before and can play music all around the house. You can charge it and then it runs on battery. It connects wirelessly to a phone to play your music. I love the round design and look of these speakers. They are nice enough looking to leave displayed in the house as well. My husband cannot stop using this speaker! He is obsessed. When he gets ready or does any sort of work, he listens to music and loves this speaker. What I can't wait to use it for is backyard bonfires. We love to have people over for bonfires in our yard and never had loud enough speakers before. These play your music very clearly and loudly. I love them! Do you use Sprint? What do you think of their phones and speakers?